The love and joy that a baby brings to a family is a precious thing. This fascinating little person becomes a focal point for his loved ones, from parents and grandparents through to aunts and uncles, cousins and the extended relatives. I know that when Baby Bookworm is around, all eyes are on him. We don’t need any other entertainment. And my gosh, he knows it! So Much! is a book that captures this sense of a family’s adoration just perfectly. The baby and his mum are gradually joined at home by different relatives who each express their affection for him in different ways – hugs, play fights, kisses, games and stories. Award-winning author and scriptwriter Trish Cooke (who you may recognise from the children’s TV show Playdays) uses repetitive verses for each arrival so that your child quickly becomes familiar with the story and anticipates what will happen next. 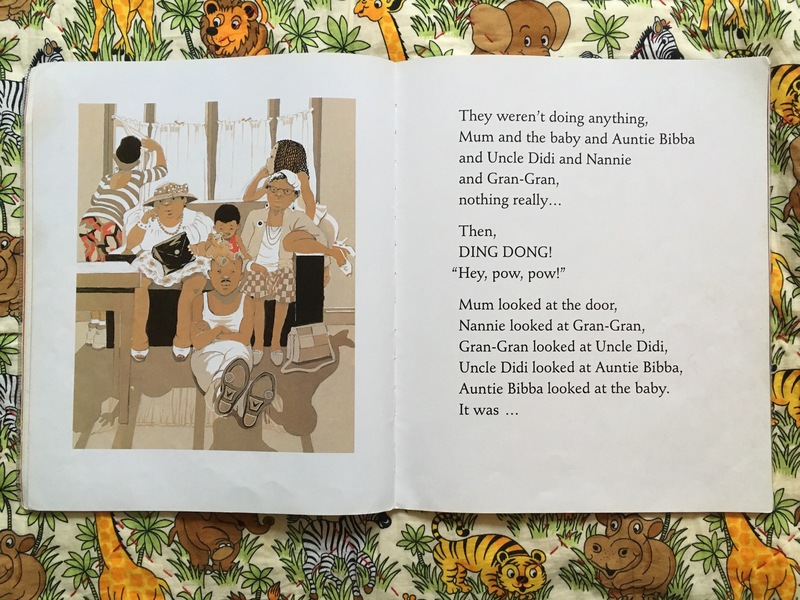 The language is rich, descriptive and made for putting on different voices, with a bit of Caribbean dialect enlivening things. As the group grows, there is a wonderful sense of that typical family gathering – lots of noise, laughter and chaos, but also love. 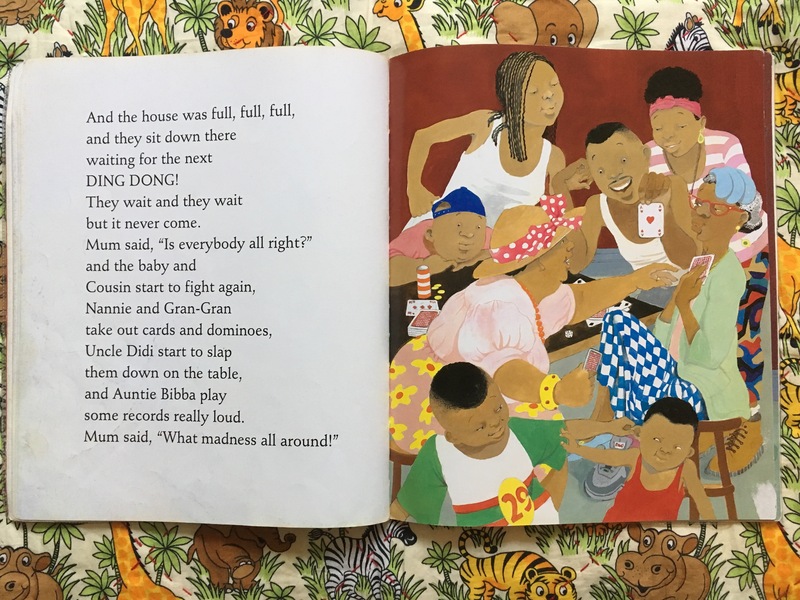 Although this family reflects Trish’s Afro-Caribbean heritage, they brought to mind my own family parties from childhood and those in one of my favourite books – A Child’s Christmas in Wales by Dylan Thomas. The artwork by acclaimed illustrator Helen Oxenbury (of We’re Going On A Bear Hunt fame) deserves a special mention too. Her bright gouache pictures capture the energy of the family, the warmth of their affection and the lovely expressions of an enraptured baby. I love the nostalgic Nineties fashions too (the book came out in 1994). I was lucky enough to meet Trish at a Penguin event earlier this year, before I had read So Much!, and she told me Helen captured the images in her head just perfectly. Trish had based the story on her own family in Bradford and I think that shines through. The story builds to a final arrival and the reason for the gathering. It is Daddy’s birthday and Mum is throwing him a surprise party. Alas, after lots of fun, the baby has to go to bed. He’s overexcited – playing “bounce bounce” with ted in his cot – but soon falls asleep with happy memories of those hugs, kisses and fights. So Much! won numerous awards in Britain and abroad after it was published and I think it has a timeless quality that makes it so adored. 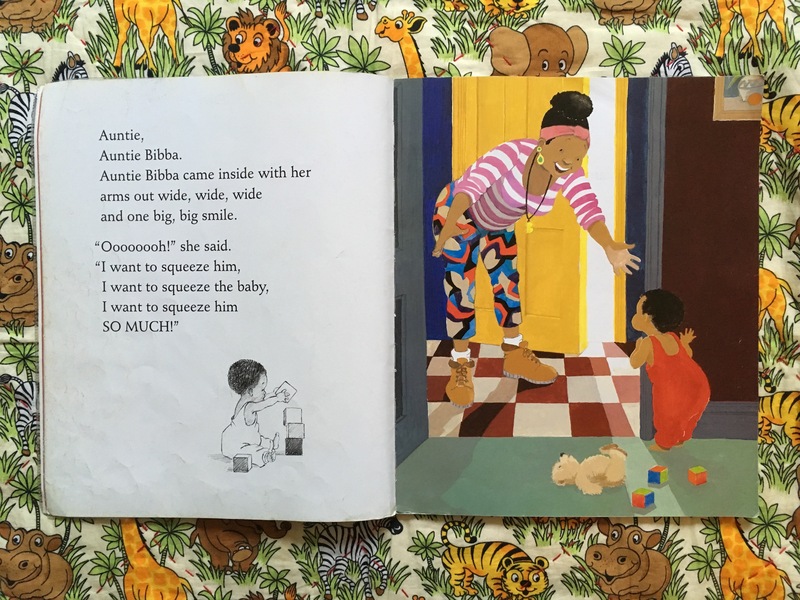 When we paid a visit to the Discover Children’s Story Centre in the summer, this was the storytime book for babies and toddlers and it had the whole group enraptured. 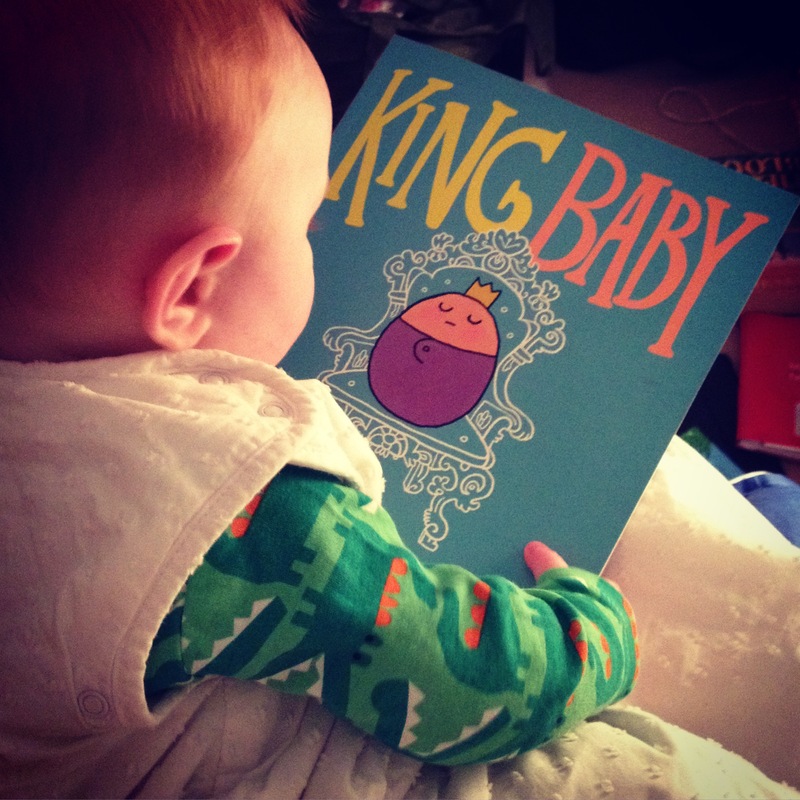 While it is quite long, Baby Bookworm sits engrossed throughout, occasionally pointing out the “baby”. Sadly we have just returned our copy to the library but we love it so much, we’ll be buying our own as soon as we can.